Inspired by Natalie Paramore‘s Snapchat via Tastemade, we had to share our favorites of these delicious snow cones for this summer. Due to the nature of Snapchat’s disappearing posts, we’re sharing the highlights of the snap story here. Thanks Natalie! We may call them SnoKones here at Niagara Inflatables, but they go by Snow Cones, snocones, shaved ice, Hawaiian Ice sno balls, raspado and more. One thing is for sure. They are delicious. With summer coming up fast why not upgrade your snow cone to a super snow cone. Snow Cones are easy to make. Once you scoop the ice into the cone, just add syrup. 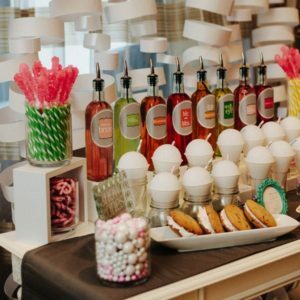 If you have lots of flavours available, why not make it into a fancy snow cone bar and have your pool party guests deck it out the way they want it. It also frees you up to do other hosting activities. Kids can get creative and try whatever wacky combination of flavours they want. Why not add some frozen/chilled fruit to your cones. This way you add natural sweetness to your treats that are healthy too. Raspberry, Stawberry, Maraschino Cherries, Grapes? You name it! This would be great with or without syrup. Remember all those names that were at the top of this article. 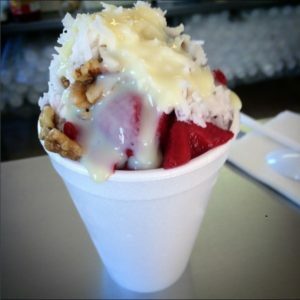 A raspado is a Mexican snow cone. 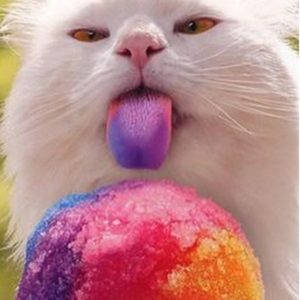 It’s probably the most intense snow cone that you will ever make, so pay attention. You need chopped walnuts, shaved coconut, strawberries and sweetened condensed milk. In your cone, add a syrup if you choose, layer on the strawberries and walnut. Pour the condensed milk and sprinkle with the coconut shavings. Cruncy, cool and sweet! Add Ice Cream to the bottom. If you are serving your cones up in a cup add a scoop of vanilla ice cream to the bottom to add a creamy finish to your cone. Or you can add it to the top. When it comes to snow cones and ice cream. There are no rules. If you ever travel to the Caribbean, you may find these. Kids love them. 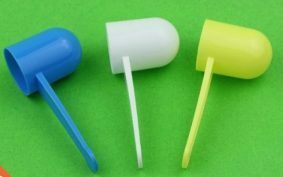 If you manage to get a hold of these long narrow laundry scoops, you can use them to put bunny years on the top of your snow cones after packing them with ice. Add two for bunny ears, five for a snow hand. These are the chocolate syrups of the snow cone world. They are delicious. After adding your syrup, make the flavour pop by adding condensed milk. You probably know of that one already. How about caramel? How about creme with orange syrup. MMM… creamsicle. As much as these ideas are great for kids, adults can have fun too. All of these tricks and treats work with your favorite liquor as well. Share your summer snow cone creations with us on twitter @niaginflatables or on Instagram @niag_inflatables. Book a snow cone machine for your next event.